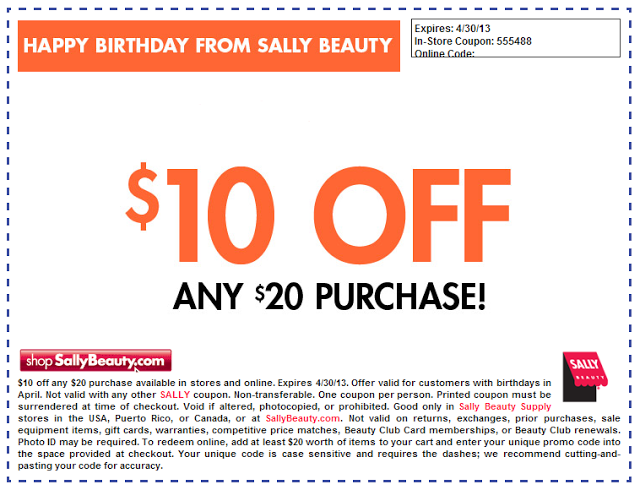 I have April's Sally's Coupon for you all. Thank you so much for posting these. I used mine last month and forwarded this to my mom for hers this month :). what is the drill? I don't know the drill. SO this comment made me laugh, even though I know you're serious.